Myrtle Beach, S.C. (July 3, 2018) – This summer as the sun shines and temperatures heat up, the Myrtle Beach area of South Carolina invites visitors to enjoy its 60 miles of gorgeous, sandy beaches and welcoming ocean waters. Along with its renowned beaches, the Grand Strand continues to evolve and expand, making Myrtle Beach a dynamic destination to explore year after year. 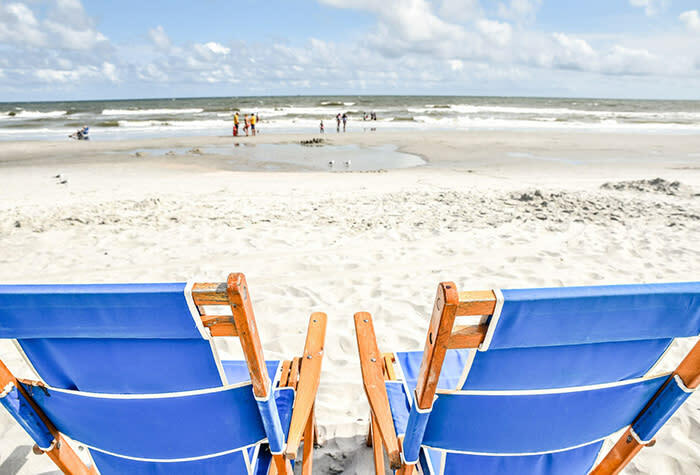 “Our beautiful beaches and ocean waters are what captivate and draw more than 19 million visitors to the Myrtle Beach area for vacation each year. We’re excited and ready to welcome visitors to enjoy our beautiful coastline and experience the area’s new and exciting activities, attractions, restaurants and more,” said Jan Hollar, interim CEO of the Myrtle Beach Area Chamber of Commerce. Brookgreen Gardens is lighting up the summer with its stunning Brookgreen Summer Lights Festival. Enjoy larger-than-life silk lantern sculptures, activities, music, Chinese paper crafts and more through August 19. Illusionist duo, The Wagsters, bring magic, comedy and drama to the Carolina Opry with Pure Magic. The new Asher Theatre provides fantastic music and entertainment with nationally-known impressionist and entertainer, James Stephens III, who will perform with numerous musical acts through October. Ripley’s Aquarium of Myrtle Beach’s has opened their Pearl Harbor exhibit, which takes a poignant look at one of the country’s most impactful historical events. The Myrtle Beach Boardwalk comes alive with its Hot Summer Nights Myrtle Beach. Each night through September 3rd, the Boardwalk features family-friendly events from game night and live music to the Kidz Carnival, keeping the daytime fun going into the evening. Boardwalk Bonanza has come to Burroughs & Chapin Pavilion Place! Each Wednesday and Thursday evening from 4 to 9 p.m. throughout the summer, visitors can enjoy this free, family-friendly event which features live entertainment, kids’ activities, food trucks, fun and more. For an evening of friendly competition, there’s 810 Billiards & Bowling, featuring bowling, billiards, table tennis, shuffleboard, Jenga® and more at each of their three new locations. Guests slide, dive or bounce into the water with Jump Jam Jungle Floats. Located in Murrells Inlet, the massive floating structure features a slide, trampolines, a high dive, rope swing and more that provide a fun way to enjoy the water. Visitors can experience a leisurely day of art along the new Grand Strand Art Trail. The Art Trail stretches along the area’s 60 miles of coastline and includes 18 fine art galleries and three restaurants featuring the finest artwork found in the area. Art lovers can also see the Goddess of the Sea sculpture, created by the renowned artist of the Fearless Girl statue on Wall Street, Kristan Visbal, at Pyler Park in Myrtle Beach. Lulu’s, owned by entertainer Jimmy Buffett’s sister Lucy, brings coastal cuisine and live music to Barefoot Landing in North Myrtle Beach. Delectable dishes like Nashville Hot Chicken and Dixie Biscuits are served along with cool beverages and live music every night in an eclectic, open-air ocean atmosphere at Tin Roof Myrtle Beach. Local and visitor favorite Johnny D’s Waffles & Benedicts has added a second location in North Myrtle Beach. They’re serving up red velvet waffles, crab and shrimp omelets, savory Eggs Benedict and boxes of cupcakes at both locations. Costa Bowls merges healthy and delicious with its wide variety of acai, pitaya and oatmeal filled bowls with fruit. A wide-variety of seafood and classic favorites are found along with a stunning view of Murrells Inlet at Catfish Johnny’s. The new Benchwarmers Grill & Tap Room offers a family-friendly dining experience after a Myrtle Beach Pelicans Game or a day at Broadway at the Beach. The Caravelle Resort recently completed an extensive renovation of several hundred rooms in its oceanfront main building, including the popular Oceanfront Jacuzzi suites. The resort’s Santa Maria restaurant also features new renovations just in time for the summer season. For more information on the area and to view the Myrtle Beach area’s many summer lodging deals, visit www.VisitMyrtleBeach.com.